The end of 2014 is upon us, and tomorrow begins a whole near year of cinema to soak in. We've been posting some of our favorite movies from this past year, with FS.net chief Alex Billington listing his Top 10 Documentaries and also his Top 10 Movies of the year, and our Golden Briefcase boys chimed in as well with Jeremy Kirk listing his Top 10 Movies of 2014 and Tim Buel getting a little more specific with his Top 8 Horror Movies of the year. My final year-end list is coming before the week is out, but for now, I wanted to focus on the big laughs with my Top 7 Favorite Comedies of 2014. So what made me laugh this year? 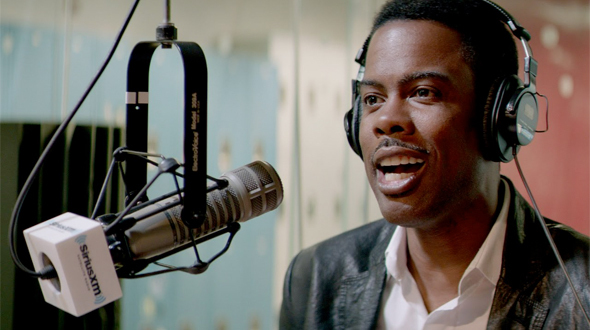 Top Five is basically Chris Rock's Annie Hall, portraying various aspects of the personal and professional life of a comedian, albeit a little more famous this time around. Rock has some great things to say about the entertainment industry and life as a comic, all brought to life with plenty of hilarious dialogue, including a great sequence with some of the best black comedians today: Leslie Jones, Michael Che, Tracy Morgan, Jay Pharoah all interacting with Rock and Rosario Dawson in a scene that could have lasted an hour and not worn out its welcome. Plus there's plenty more great cameos, a couple incredible. I'm not trying to be clever by not putting Top Five in the actual top five of my list of favorite comedies, it just happened to work out that way. Honestly, I loved about 90% of this film, but there's a part of me that just wishes Chris Rock would have refrained from getting a little too silly with certain elements involving the characters played by Cedric the Entertainer and Anders Holm. But thankfully, my small problems with the film don't change the fact that this is a career defining movie for Chris Rock in more ways than one since he also wrote and directed it. It's earnest, genuine and just plain funny. While all the attention is being paid to The Interview at the end of the year, much more praise should be doled out to Neighbors. Rogen didn't write or direct this one (that doesn't mean that's why it was better), but he makes for a surprisingly great parent rival to Zac Efron's far more irresponsible, yet sincere and charming fraternity brother neighbor. The two facing off in a battle of pranks was the focus of the marketing, but there's actually some really clever dialogue and sequences outside of the physical comedy. Plus, the fraternity "villains" aren't just straight-up, two-dimensional, douchebags as the script turns them into real characters, who you actually almost root for as much as Rogen and his wife (Rose Byrne). But what Neighbors really deserves some credit for is letting Byrne cut loose as the female lead. Sometimes comedies like this let the male cast members have all the fun, but Byrne is right alongside Rogen, partying, cursing up a storm and even getting into some trouble of her own. Plus, Byrne shows that she can hold her own in the heavily improvised environment that Rogen brings to the table along with Forgetting Sarah Marshall director Nicholas Stoller. This is more than just another college comedy. It's a coming-of-age laugh riot for college kids and twentysomething parents. For more, read my review right here. Too few quality comedies put a female character in the lead, but Obvious Child pulls it off magnificently, driven by a breakthrough performance by "Saturday Night Live" veteran and "Kroll Show" regular Jenny Slate. She delivers an honest, touching and delightful performance as she comes to terms with getting an abortion after a one night stand. It tackles the subject matter with care instead of irreverence, but that doesn't make it any less funny. Even those who disagree with the act of abortion may find the film accessible merely because it's so genuine, grounded and sweet, which adds to its amusement and charm. Helping things along is the presence of both Gaby Hoffman and Gabe Liedman as Slate's friends, not to mention Richard King and Polly Draper as Slate's parents. 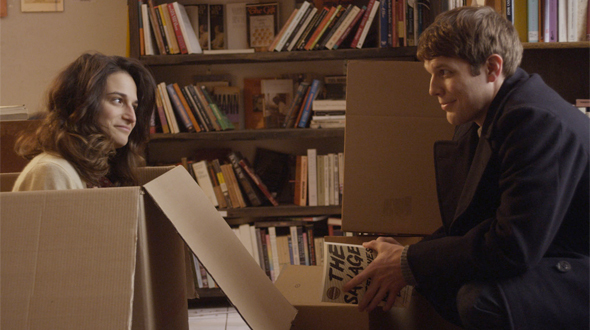 Obvious Child may seem like your average romantic comedy, but it's so much better than the studio drivel that gets thrown into that genre on the big screen every year. Gillian Robespierre has a bright future if she can bring this level of authentic storytelling to taboo topics, and Slate deserves many more leading roles after shining brightly in this superb indie comedy. Wes Anderson has always had a dry sense of humor, but his films have still always provoked laughter. 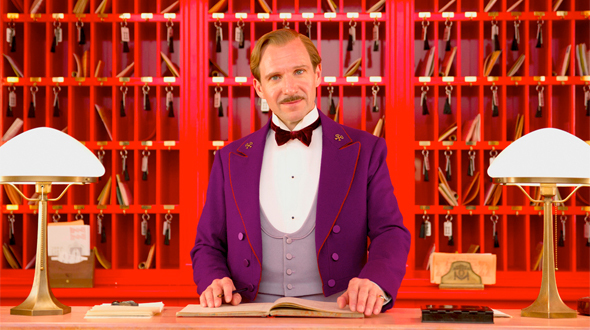 However, The Grand Budapest Hotel may be his most lively and funny movie just yet. It's a heist, an adventure and a chase, all brought to life with the colorful assembly of quirky characters we've come to expect from Anderson, but the new presence of Ralph Fiennes leading the film is refreshing and surprisingly comical for an actor better known for his dramatic roles. And let's not forget Tony Revolori as the lobby boy Zero, holding his own with Fiennes and some of Hollywood's best. Speaking of which, this might be Anderson's best ensemble cast yet. Quick appearances by Bill Murray and Jason Schwartzman are wonderful, but Willem Dafoe, Adrien Brody and Jeff Goldblum are the standouts (the latter delivering a magnificent reaction when his cat is thrown out the window). And as is the case with any Anderson film, the flawless, meticulously crafted visuals just add another layer of perfection to what truly might be the director's greatest cinematic achievement yet. If you haven't checked into The Great Budapest Hotel or any of Anderson's films, this should be the one you see. It's still surprising to me that the team of Jonah Hill and Channing Tatum has resulted in one of the best big screen comedy duos of the decade, but here we are with 22 Jump Street, the sequel to the surprisingly fantastic 21 Jump Street, and it actually surpasses the sequel in comedic greatness. The laughs are bigger as well as the action, and that's not easy to do with comedy sequels. But directors Phil Lord & Chris Miller have a gift for brilliant comedy, especially with flares of meta humor amongst the homages and fun-poking at the action films that came before it. In addition, it's nice to see another great female comedienne stepping into an interesting role. It's not often you see prominent female villains, especially in action comedies, and Jillian Bell ("Workaholics") holds her own against both Hill an Tatum. She's feisty and just plain funny. But after the way this comedy sequel skewers the idea of sequels, it's hard to imagine that there can be anymore than just one more sequel, mainly to poke fun at the concluding chapter of any given trilogy. After that, the Jump Street squad might wear out their welcome. But as long as Lord & Miller are involved in some way, count me in. Speaking of Phil Lord & Chris Miller, these guys can do no wrong in my eyes, and they've got a lifetime of interest from me in whatever project they're cooking up. 21 Jump Street and Cloudy with a Chance of Meatballs impressed the hell out of me in very different ways, but it's The LEGO Movie that shows the true power of their creativity. 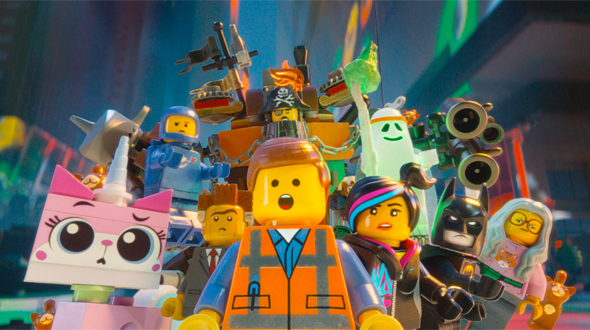 The LEGO Movie was an idea that almost everyone was against as countless toys were being snatched up at movie studios for big screen adaptations. But Lord & Miller not only made us eat our words, but we enjoyed them, and went back for seconds. The LEGO Movie is brilliant, imaginative and funny to adults and kids alike. It helps that it mixes of a ton of pop culture worlds, from superheroes to westerns and more, the possibilities were endless in where this movie could go. But no one expected it to go into the real world for one of the most wonderful third acts that I've seen in any film for a long time. And plenty of credit should be given to the great voice cast, including fast-rising leading man Chris Pratt, the versatile Elizabeth Banks, the reliable Will Ferrell, and the surprisingly stupendous Liam Neeson as Good Cop/Bad Cop. The LEGO Movie is an animated marvel. In this current generation obsessed with silly YouTube videos and alternative comedy, it's hard to pull off a real parody or spoof and do it well, especially with abysmal pieces of garbage like the later Scary Movie entries and all its cronies like Date Movie, Epic Movie and more out there. But thank heavens Wet Hot American Summer director David Wain and his longtime comedic collaborator and co-writer Michael Showalter delivered They Came Together, proving that the art of spoof comedy isn't dead with a film that is just as smart and goofy as classic spoofs like Young Frankenstein, Airplane! and The Naked Gun. 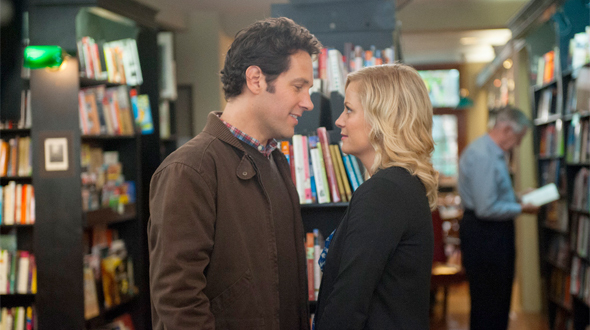 Amy Poehler and Paul Rudd make for a great romantic comedy duo as they skewer everything from When Harry Met Sally to You've Got Mail and all the sappy love stories in between. Nothing is too silly and no joke to outlandish to land in this film that made me laugh harder than any comedy this year. Not only did I see the movie at Sundance with a packed house that couldn't stop laughing, but seeing it two more times didn't dull its hilarity at all, and it might even be funnier upon repeat viewings. This is classic, timeless comedy, and it's absolutely perfect. Honorable Mentions: The Interview, Horrible Bosses 2, Dear White People, A Million Ways to Die in the West, Bad Words, Frank. So that's it for my Top 7 Favorite Comedies of 2014. Comedy is one of the most subjective kinds of entertainment out there, so I won't have any problem with people disagreeing with some of these choices. 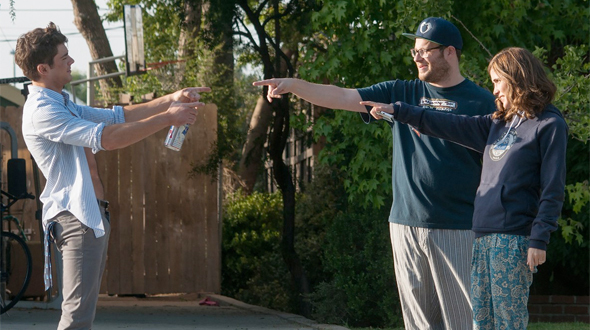 So what were your favorite comedies of 2014? Sound off with your picks in the comments! I couldn't make it 15 minutes into They Came Together, it was ridiculous and the actors were trying too hard to make bad writing seem funny. I don't like spoof films though so maybe that's why. You're spot on with all the others though. Yeah, with They Came Together, you either love it or you hate it. Some people just don't like that kind of comedy. THE GRAND BUDAPEST HOTEL was in my top 3 of the year. Such a nice surprise of Anderson. Personally, I was starting to get tired of the usually WA-style, but I really thought TGBH brought a sort of fresh approach while in keeping with the quirk. The Lego Movie was a quite dissapointment. I thought it would be fun but it was more annoying than funny. Nice choices, but They Came together had to be the worst movie of the year (aside from Dumb and Dumber to). Loved They Came Together. People will either love or hate that movie depending on if they get the humor. I loathed "Obvious Child". Sorry, but I don't find talking about gross body functions the entire time funny. Never got to see Jump St. or Obvious Child, but everything else is spot on. Glad you really enjoyed They Came Together; that seemed to polarize viewers. I thought it was one of the best parodies since Walk Hard, Black Dynamite, and Undercover Brother.